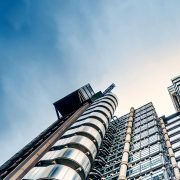 Fox Williams has today announced that Andrew Hill, a dispute resolution partner specialising in securities litigation, has joined the City law firm. 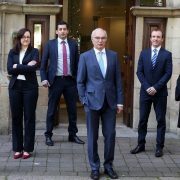 Andrew joined the firm from Stewarts Law LLP, where he was a partner. 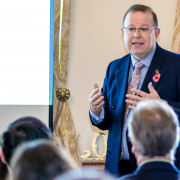 Andrew is at the forefront of developing securities litigation in the UK, helping clients who are shareholders in UK public companies seek compensation when they have been misled. He drove the launch of the UK’s first such claim against a public company – the high-profile and ground-breaking case against Tesco PLC for a large group of institutional investors, following Tesco’s admission of a profit overstatement. “We are delighted that Andrew has joined us. Andrew has deep expertise advising on complex, cutting edge and high-value litigation for sophisticated financial institutions and institutional investors including in group or ‘class actions’. 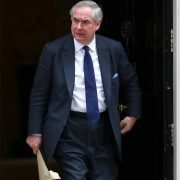 His experience and capabilities complement our expanding dispute resolution practice and bolster our financial services sector expertise” said Paul Osborne, senior partner at Fox Williams. “Andrew is a very experienced, accomplished and highly regarded litigator. He has been proactive in the new area of securities litigation in London. His expertise and proven ability in this area will enable Fox Williams to obtain redress for institutional investor claimants against public companies who mislead the market. 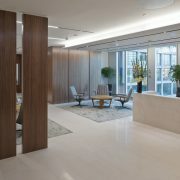 Andrew is a valuable addition to the Fox Williams team,” said Gavin Foggo, head of the firm’s dispute resolution and litigation department. Fox Williams has also appointed Adam Fortune, a barrister by background and an experienced litigator and arbitrator, to join the firm’s senior associate ranks. Adam has acted on a range of domestic and cross-border commercial disputes and specialises in corporate and investment banking litigation and IT disputes. He also has experience in civil fraud litigation and adds to the strength and depth of the firm’s offering to clients. JLT Specialty, a U.S. subsidiary of Jardine Lloyd Thompson Group plc. (LSE:JLT.L), the leading global specialist risk advisor and broker, is pleased to announce the appointment of Samantha Levine as Senior Vice President of JLT’s Cyber / E&O Practice. Levine comes to JLT from Aon, where she served as Vice President within the Professional Risk Solutions team. During this time, Levine advised clients in the Western US, and also provided national expertise in Network Security & Privacy and technology risks. Levine specialized in creating bespoke solutions for her clients for what were deemed “uninsurable risks”. Furthermore, she co-led Aon’s Professional Risk Solutions Policy Committee, where she negotiated language enhancements with senior legal and underwriting leadership.